NZ MADE!!. This fire pit is treated for use in refractory situations to be heat stable up to 1440°C. 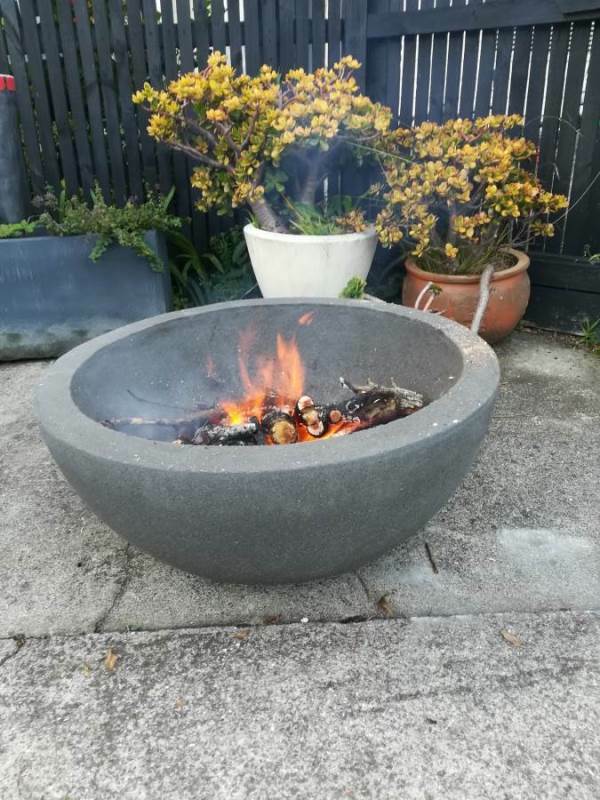 The measurements of the fire pit in the photo is 800mm in diameter by 370mm deep half sphere in Charcoal. We make these fire pits in the Charcoal only.